Although we don’t celebrate St. Patrick’s Day in our house like the rest of the holidays, we love a good theme for our learning! We are working on identifying, counting and learning 1:1 correspondence for numbers one to twenty. 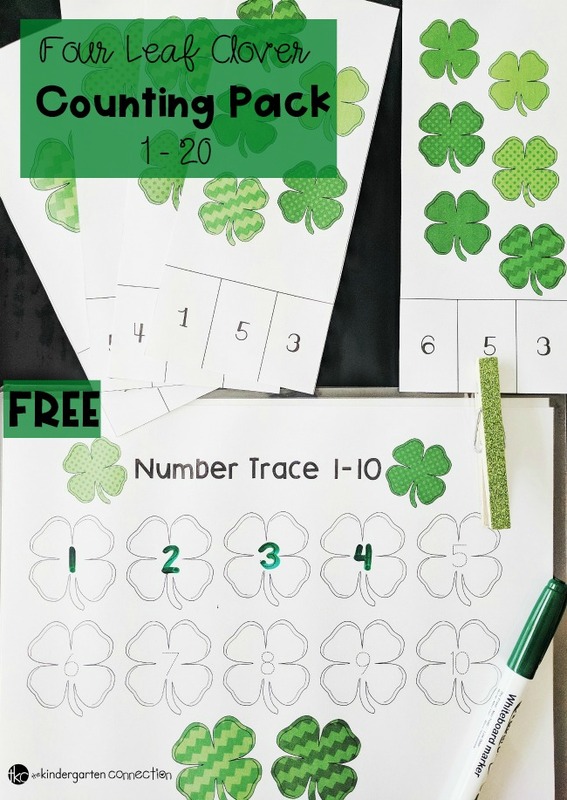 These little four leaf clover counting printables are an easy and fun way to get festive while working on number sense and counting skills. 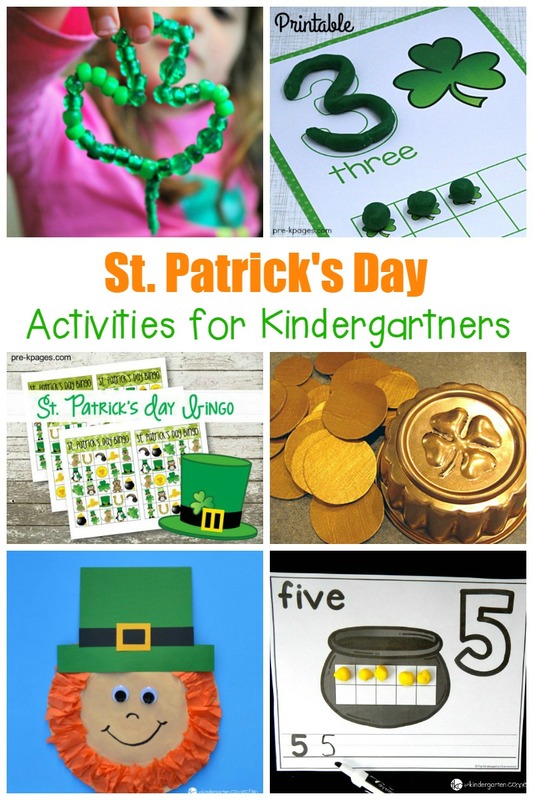 *Pair these with our St. Patrick’s Day Centers for TONS of learning fun! 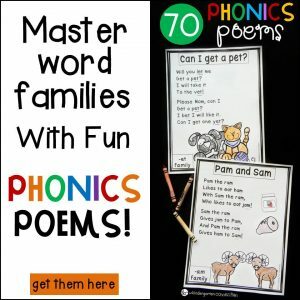 The printable includes clip cards working on numbers one to twenty. 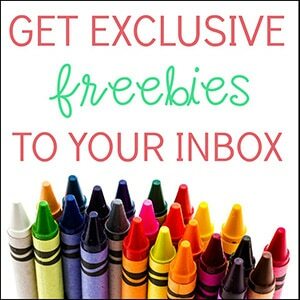 You can print these on card stock or choose to laminate them for durability! There are three clip cards per page and will need to be cut apart. If I were using this as a center in a classroom, I would include twenty clothespins for the activity. We were only working on numbers one through five, so I set ours up with one clothespin to be used multiple times. I added some green glitter tape to jazz up the clothespin as well! 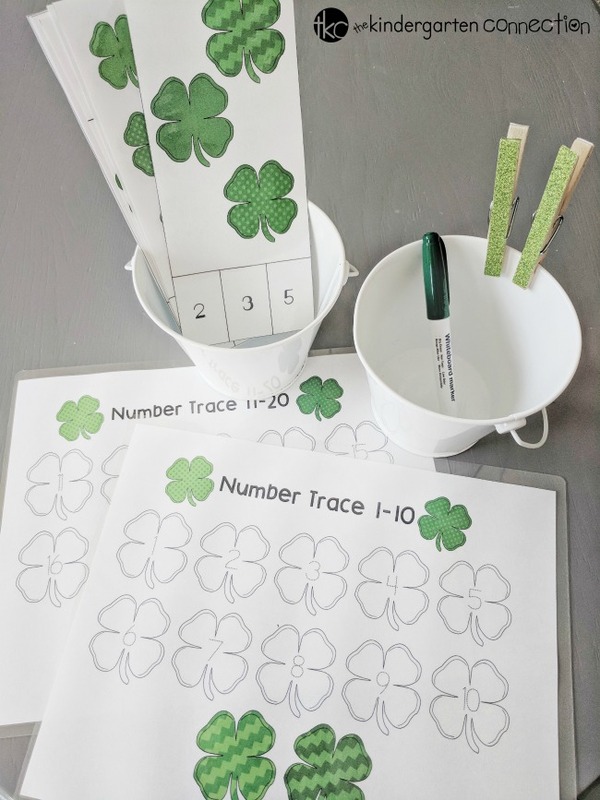 For each clip card, the child will use a clothespin to mark the correct number of clovers. 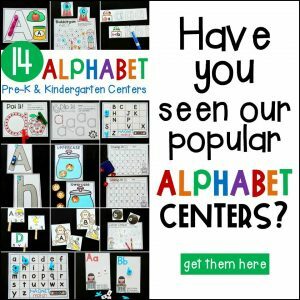 If you choose to laminate these cards, you can have the child circle the number with a dry-erase marker or use a gold coin to cover the correct number. The second activity in the counting pack is a number trace. There are two pages dividing the numbers one to ten and then numbers eleven to twenty. 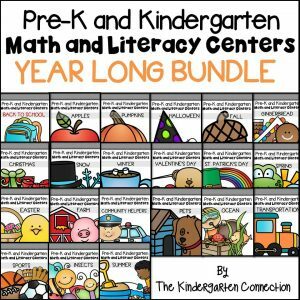 This can be used as a one-time worksheet, or laminated to be reused as a center activity. We chose to laminate ours and reuse it using a green dry-erase marker! This was a fun way to count the clovers as well as work on writing the numbers one to twenty. 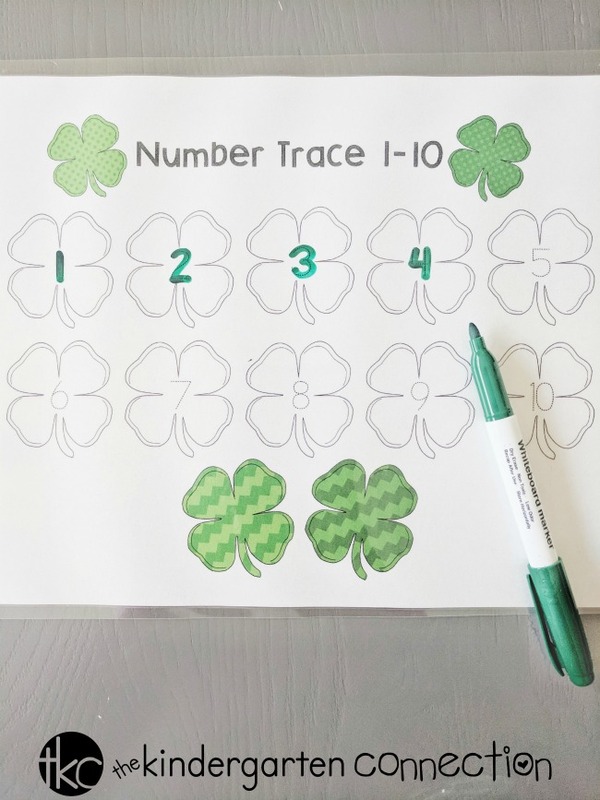 If you choose to use it as a one-time worksheet, you can have your child or students color in the clovers as they count and trace! Need some festive clover counting in your home or classroom? 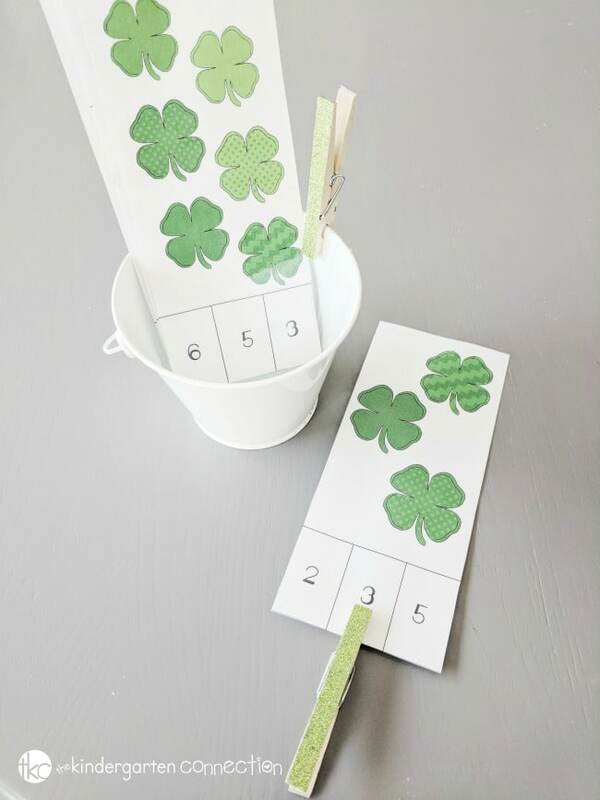 Grab your copy of the four leaf clover counting printables by clicking the yellow button at the very bottom of the post. Then, hop over and check out some of our favorite St. Patrick’s Day Activities and Printables!